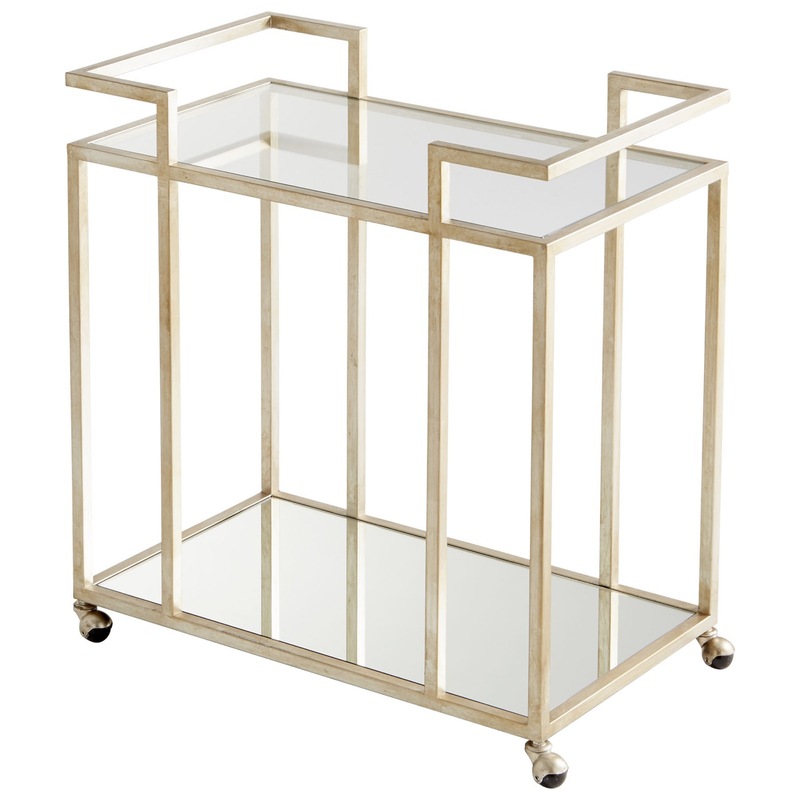 Set atop casters, this entertaining essential features an iron frame finished in aged silver leaf. 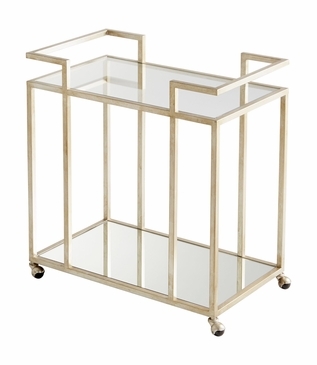 The clear, tempered glass top and mirrored bottom shelves are surrounded by the linear frame, keeping bottles and barware in place. Due to the handcrafted nature of the metal frame and leafing process, slight imperfections should be considered part of the piece's inherent character. Size: H: 32.25" • W: 31.5" • D: 19.5"